Dr. Crook, your book Help for the Hyperactive Child has been very popular. 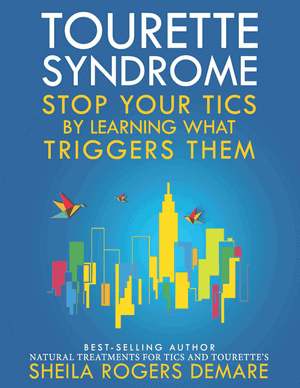 Could you give some background on how your work with hyperactivity developed? I’m a practicing pediatrician who knew nothing about the things that excite me today when I left Johns Hopkins many years ago. In the mid-1950s, I learned from an alert mother that sensitivity to cows’ milk caused her son to feel tired and irritable and complain of headache, stomachache, and leg ache. A short time later, I read two articles in the medical literature, one from Duke University and one from the University of Kansas, regarding food-related symptoms in children. Although in the 1960s I helped many tired and irritable children, I saw very few children with what we today call ADHD — even though my partners and I were the only full-time pediatricians in town. By the late 1960s we began to see more and more of these children, and by the early seventies they were coming in out of the woodwork! 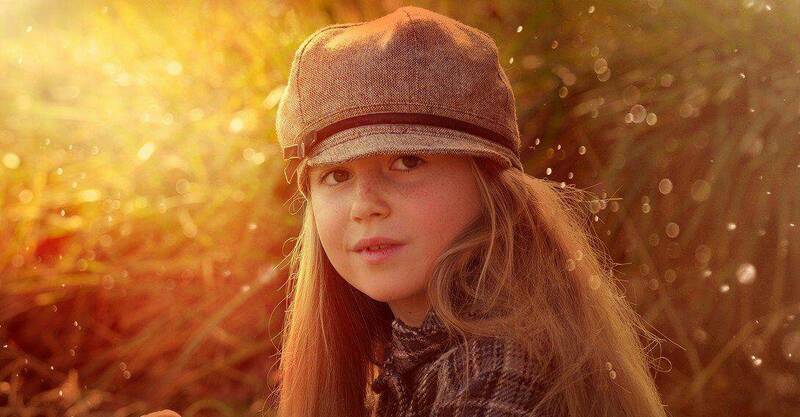 We helped many hyperactive children by recommending an elimination diet. For this, one removes the suspected foods from the diet for 5 to 10 days, until a convincing improvement in symptoms is seen. Then one returns the eliminated foods to the diet, one food each day, to see if symptoms return. Symptoms may be noticed within a few minutes, or they may not occur for several hours or until the next day. In 1980, I published a paper in the Journal of Learning Disabilities entitled “Can What a Child Eats Make Him Dull, Hyper, or Stupid?” There were 182 children in the study; parents of 136 of the students were absolutely certain that one or more foods exacerbated the child’s hyperactivity. The foods they considered most suspect were sugar, food coloring, and milk, in that order. 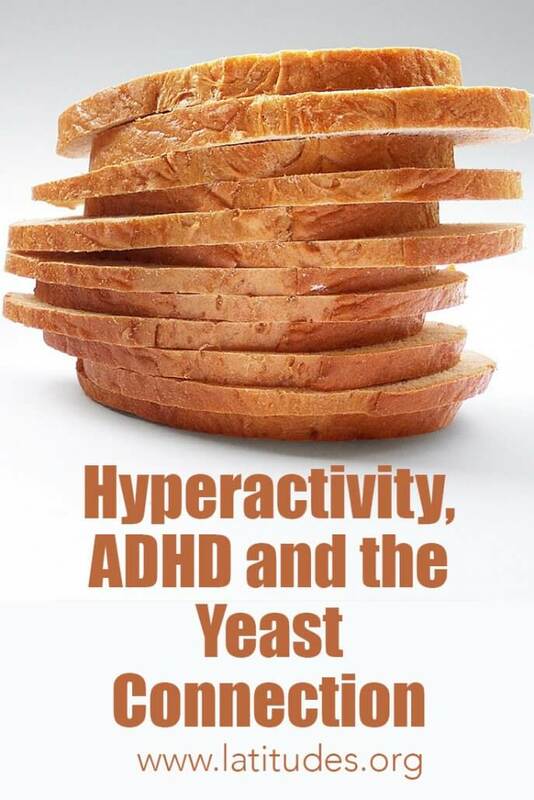 That confirmed my suspicions that foods were connected with symptoms of hyperactivity, and I began to take a great interest in the subject. What’s your opinion of the recent studies suggesting that sugar has nothing to do with ADHD? Well, once I had fingered sugar as the number-one culprit in my article, the Sugar Association invited me to a conference in Florida. I was wined and dined, played golf with the president, etc. But when I gave my talk a couple of days later, they didn’t like what I had to say to them! So they began funding studies by Dr. Mark Wolraich, originally at the University of Iowa and now at Vanderbilt University. He concluded from his studies that sugar has nothing to do with hyperactivity. Needless to say, his results have been controversial. My own response to his recent study was printed in the New England Journal of Medicine, along with those of others who also contested his findings. Back in the seventies, I didn’t know why sugar could cause hyperactivity. Now I think I know the answer. In 1979, I learned about the “yeast connection” from Dr. C. Orian Truss. Candida albicans is one of many types of yeast. In addition to vaginal yeast overgrowth, a topic most of your readers are familiar with, candida can grow in an adult’s or child’s digestive tract and cause a disturbance in immune-system functioning. Candida overgrowth in the intestinal tract can also cause what has been called a “leaky gut.” The result is that more food allergens and toxins are absorbed. This can result in a variety of symptoms — including, in part, fatigue, headache, irritability, depression, and hyperactivity. Sugars and other simple carbohydrates promote yeast growth. It occurred to me that the reason many of the youngsters I worked with had increased hyperactivity with consumption of sugars (cane sugar, beet sugar, corn sugar, corn syrup) could be that the sugar was “feeding” their candida. What do you recommend as treatment for these children? I began to help a number of patients by taking sugar out of their diets and giving them prescription and nonprescription anti-yeast medication. In 1993, researchers at St. Jude Hospital conducted a study on mice with weakened immune systems. They gave glucose to one group of mice; the control group received a sugar-free diet. The result was that the yeast in the gastrointestinal tract was 200 times greater in the mice that received the glucose than in the control group. Which children are most likely to have this problem? In Clinical Pediatrics (1987), Randi Hagerman, MD, and a colleague reported on a study of individuals with learning and behavior problems. Ninety-four percent of children medicated for hyperactivity had three or more otitis infections, and 69% had greater than 10 ear infections. In comparison, only 50% of nonhyperactive school failure patients had three or more infections, and only 20% had greater than 10 infections. In my opinion, repeated antibiotics given for ear infections set up a cycle that includes repeated infections and nervous system symptoms. The reason is that antibiotics destroy bacteria of many types — both the “enemies” for which they were intended and the “friends” in your digestive tract. The antibiotics do not affect candida yeasts. It is suspected that once the balance in the body has been destroyed by the antibiotics, yeast overgrowth is more likely to occur. As you’ve seen in the press and media, the use of Ritalin is on the rise. An article in USA Weekend a few months ago showed that the production of Ritalin has increased ninefold in the last ten years. Ritalin is a useful medication that can help control the symptoms, but it doesn’t get at the cause. 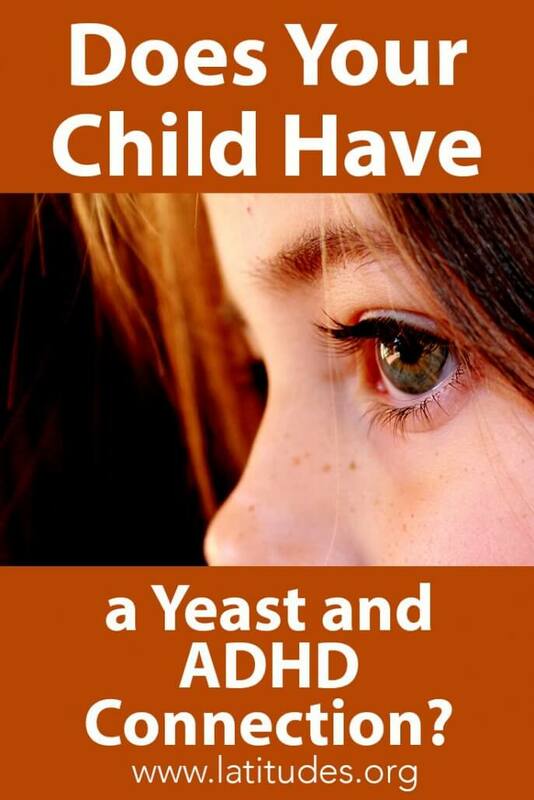 In my experience, a tremendous number of children with ADHD can be helped by a sugar-free special diet and oral anti-yeast medication. Of course, that’s not the whole story . 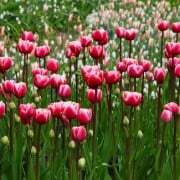 . .
What are the anti-yeast medications you might recommend? Let’s look at them in two categories: prescription and nonprescription. Nonprescription treatments that can help control candida overgrowth and rearticles normal bacteria in the intestinal tract include caprylic acid, probiotics (such as preparations of lactobacillus acidophilus and other friendly probiotic bacteria), citrus seed extracts (sold as Paracan 144, Paramicrocidin, and Citricidal), garlic cloves and/or Kyolic, and the herbal product Mathake (Teriminalia catappa). The treatment program should be directed by a physician, though it is not always easy to locate a doctor who is well versed in the subject. Prescription drugs can also be useful. These primarily include nystatin, Diflucan, Sporanox, and Nizoral. You said earlier that diet control and anti-yeast medications were not the “whole story.” What else should our readers be aware of? Nutritional supplements can be very important. Look for yeast-free, sugar-free, color-free multivitamins, minerals, and antioxidant preparations. Children with ADHD may also benefit from essential fatty acids, and I recommend flaxseed oil. It’s very safe and has both the omega-3 and omega-6 fatty acids. It can be used in a salad dressing or taken as a straight supplement. Look for it in natural food articles. It’s important that it be fresh. I also recommend the bioflavonols, grape seed extract and pycnogenol. One should rule out allergies to dust, molds, and inhalants, as these can affect nervous system functioning. 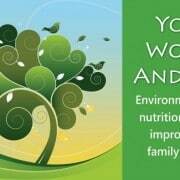 People with yeast-related health problems are almost always overly sensitive to everyday chemicals in the environment. Try to eliminate or control these: perfumes, carpet odors, cleaning products, paints, insecticides, tobacco smoke, diesel fumes, etc. When feasible, purchase organic foods, and choose prepared foods in glass containers rather than plastic. Parents should encourage the hyperactive child to spend less time in front of the TV and more time outside in clean air. Of course, love, encouragement, praise, laughter, and lots of hugs are important too. You previously referred to Ritalin. What’s your opinion on its use? Some children need and will benefit from Ritalin, preferably in conjunction with some of the suggestions I’ve offered. There are cases where the best diet management or nutritional support is not enough to correct the problem. Parents should not feel guilty if it is necessary to resort to Ritalin or a similar medication. Frequently, by following the strategy I’ve outlined, one can greatly reduce the amount of medication that may be needed in those cases. 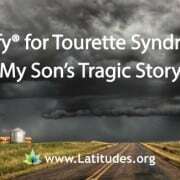 Latitudes also focuses on autism and Tourette syndrome. Do you find there is a “yeast connection” there? 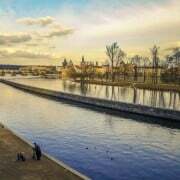 I have found that the same techniques we’ve been talking about can help some autistic children. There is also very exciting work going on by William Shaw, PhD, and others regarding fungal (yeast) metabolites and treatment of autism with antifungal drugs. Though the work is preliminary, the results are promising. 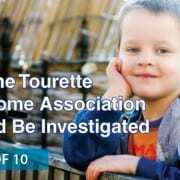 While I have not treated Tourette syndrome, I am aware that many families and physicians have reported a connection between TS symptoms and environmental and food sensitivities. As we have discussed, candida overgrowth can play a significant role in this area. Dr. Crook is the author of twelve books, including The Yeast Connection, a bestseller with over one million copies in print. His most recent book is, The Yeast Connection and the Woman. For fifteen years he wrote a nationally syndicated health column “Child Care.” Dr. Crook has is particularly interested in youngsters who are troubled by repeated ear infections, hyperactivity, attention deficits, and other behavior and learning problems. 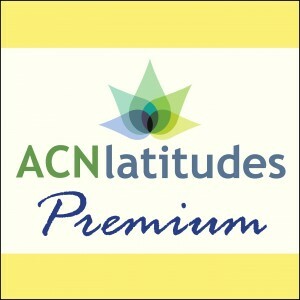 Editor’s Note: Dr. Crook served on our advisory board since the inception of ACN Latitudes. Sadly, he passed away in 2002; his guidance is greatly missed. Does Sugar Have an Effect on Children’s Behavior or Academics?